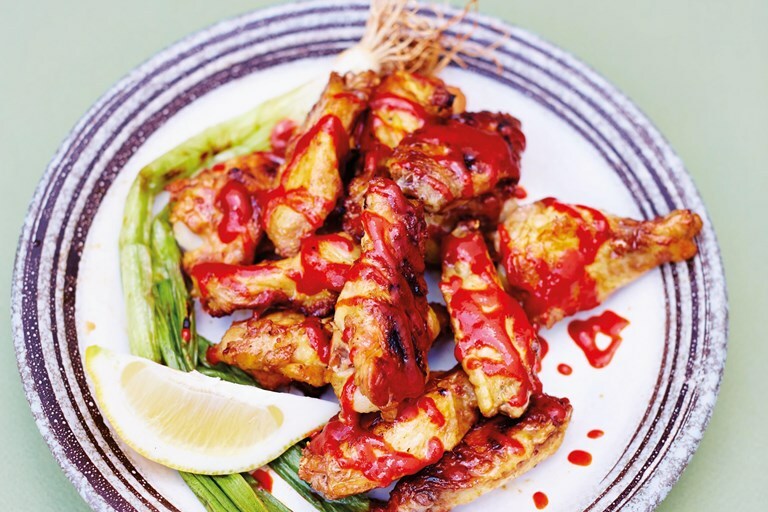 Scott Hallsworth's miso hot wings recipe is a real treat. Slow-cooked before crisping up on the barbecue and drizzled in a gochugang and miso based hot sauce to serve, you can scale up this recipe to serve a big crowd at a summer barbecue. This recipe is taken from Junk Food Japan by Scott Hallsworth, published by Absolute Press. Photography by David Loftus. As head chef at the acclaimed Nobu for six years, Australian-born Scott Hallsworth has mastered the ins and outs of Japanese cuisine, which he now showcases in his fun, playful dishes.